If you need anything from a single email account, or a company wide solution, we can provide both a secure cloud hosted or on-premise solution to suit your requirements, supplying and supporting Microsoft Exchange Online from £3.00 per account per month, Microsoft Exchange Server on-premise and MDaemon Email Server. We can also offer enhanced email security with Security Gateway to further protect your email server from viruses, phishing, spoofing, and other forms of malware that present an ongoing threat to the legitimate email communications of your business. All of our email accounts are compatible with any current mobile device and desktop email client for both Windows and Mac operating systems. And if you need any support, our engineers are available to assist at all times, even if you didn’t buy from us. Contact us to find out more. Don’t have a domain name yet? let us do the work for you. We will setup everything from your domain name to your individual email addresses and get you started using your preferred email client. Email archiving is fast becoming a must have for all businesses. MailStore Server enables you to take advantage of all legal, technical and economic aspects of email archiving. 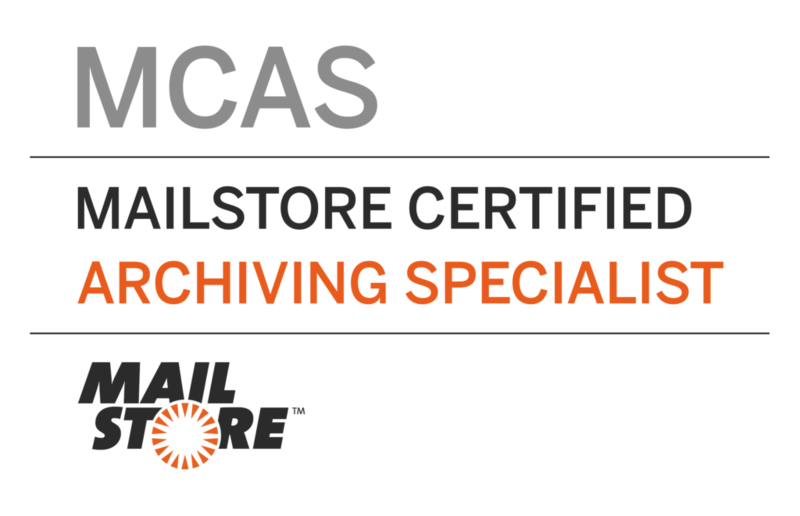 MailStore Server stores perfect copies of all company email in a central archive which can safely maintain any amount of data for many years. Users can easily access the archived emails using the Microsoft Outlook integration or an internet browser with MailStore Web Access. Find out more at www.zensoftware.co.uk/mailstore/. Interested? Why not give us a call to discuss how we can get you started with MailStore server for your business with a 30 day free trial.